Every dollar invested by APS in its net metering program earns it $1.54, according to a new analysis. Net metering of rooftop solar creates value for society and the utility. Every dollar invested by Arizona Public Service (APS), the state’s dominant utility, in its net metering program will earn it $1.54, according to a new cost-benefit analysis of Arizona solar. By 2015, the APS net metering program will produce $34 million in net benefits yearly. The Benefits and Costs of Solar Distributed Generation for Arizona Public Service, a report from R. Thomas Beach and Patrick G. McGuire of Crossborder Energy, is the latest in a series of studies undertaken to size up the benefits of the 43 net metering programs that are in place around the country. The first was the landmark Austin Energy (AE) Value of Solar Tariff (VOST) study by Clean Power Research. “There are three or four dominant approaches for valuing solar, but they all seem to be coalescing around the same general conclusion,” explained Rabago Energy principal Karl Rabago, a former AE Distributed Energy Services VP and PUCT Commissioner. Rabago was instrumental in developing AE’s VOST program and is an expert on net metering and distributed generation policies. The Crossborder researchers used data from APS and from studies APS commissioned in 2009 (the Beck study) and 2013 (the SAIC study). But they applied the data over the life of a solar system. “A central problem with the Beck and SAIC studies is that they assess the benefits of distributed solar only in a single-year ‘snapshot,’ without considering the long-term benefits of the solar resource over its full expected life” of twenty to 30 years, they noted. Ancillary Services and Capacity Reserves: Distributed solar reduces the APS peak load. Utilities are required to maintain operating reserves of 7 percent and capacity reserves of 15 percent. For each kilowatt cut from peak demand, the cost of maintaining reserves is reduced. Environmental: In a 2012 document, APS quantified the benefits of distributed solar’s reduction in air pollutants and water use. 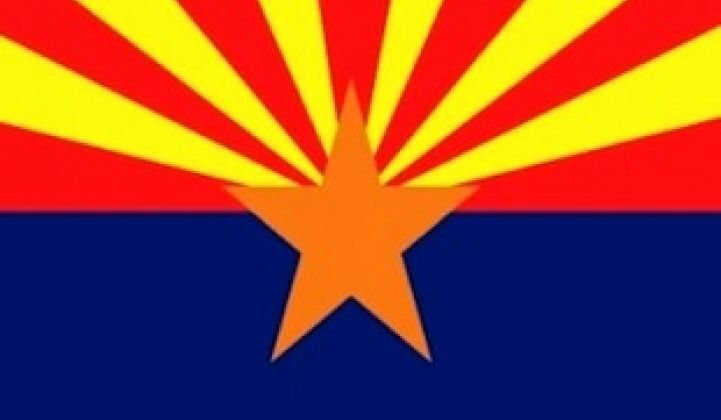 Avoided Renewables Costs: Distributed solar relieves APS of the need to invest in renewables to meet Arizona’s Renewable Energy Standard Tariff (REST) requirement of 15 percent in 2027, as well as in other solar to meet the REST mandate’s 30 percent distributed generation carve-out. Crossborder also noted a spectrum of other benefits from costs deferred or avoided. The primary cost to APS is net metering credits to system owners at APS retail rates. Currently, at $0.155 per kilowatt-hour for residential and $0.071 per kilowatt-hour for businesses, the 20-year levelized retail rate credits come to $0.197 per kilowatt-hour for residential and $0.09 per kilowatt-hour for commercial in 2014 dollars. That averages to an overall rate credit of $0.137 per kilowatt-hour. The 20-year levelized rate of the current residential upfront incentive is $0.006 per kilowatt-hour, and most businesses no longer have access to an incentive. An APS-commissioned study put renewables integration costs at $2 per megawatt-hour in 2020 and $3 per megawatt-hour in 2030.